this is limited items. 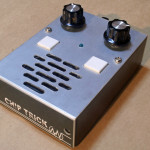 I build 2 of chipTrick and put them into enclosure. you can use it as a noise machine without assembling.